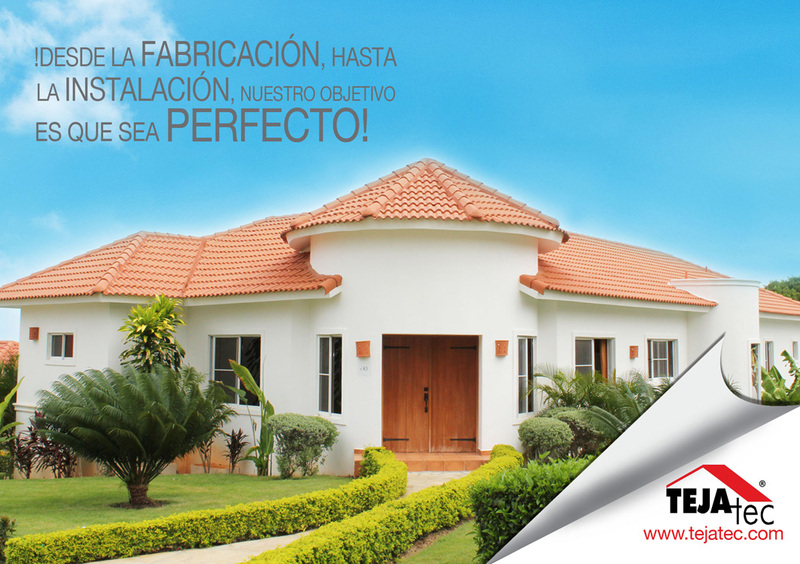 Making perfect ceilings, whose characteristics are founded on quality and durability. 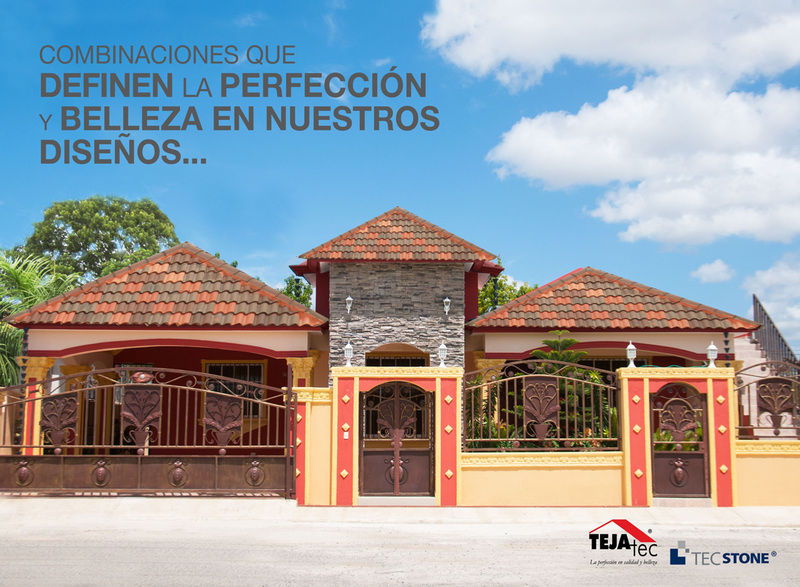 Be inspired, create and give a personal touch to your roof! 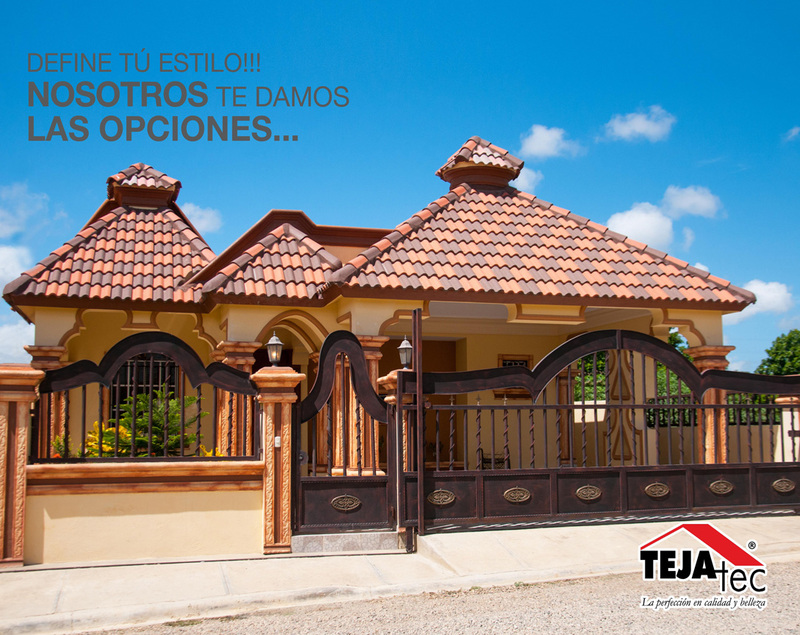 Here you have options! 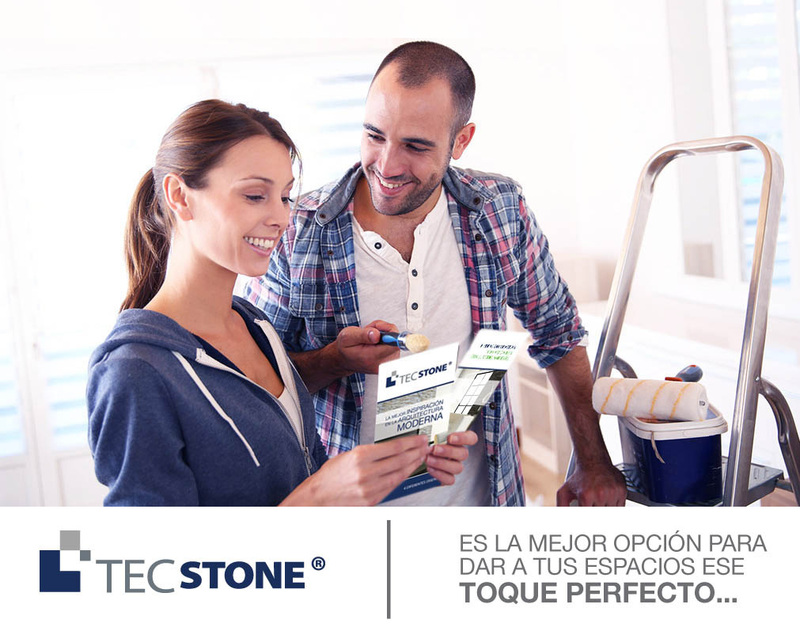 Increasingly those who prefer us, making us the leading brand in the market. 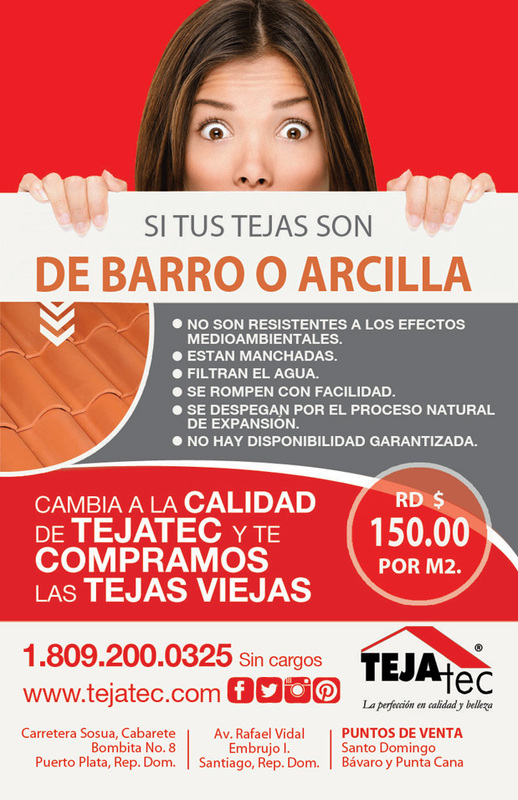 What are TEJAtec tiles as they are made? 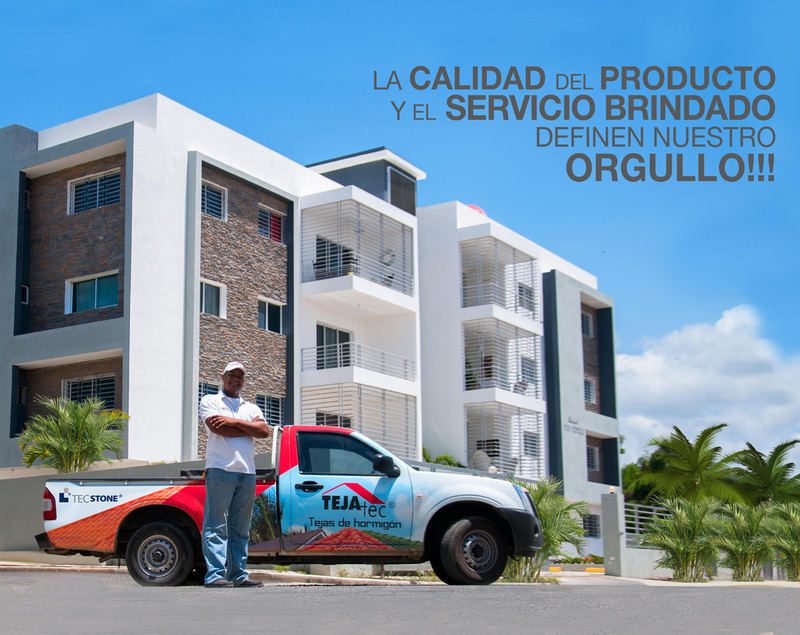 Our quality assurance. 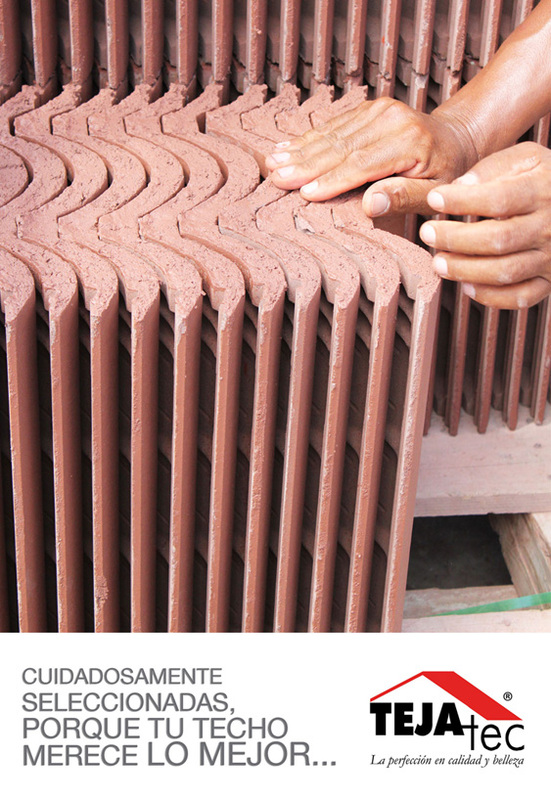 Protection of a Modern Material. 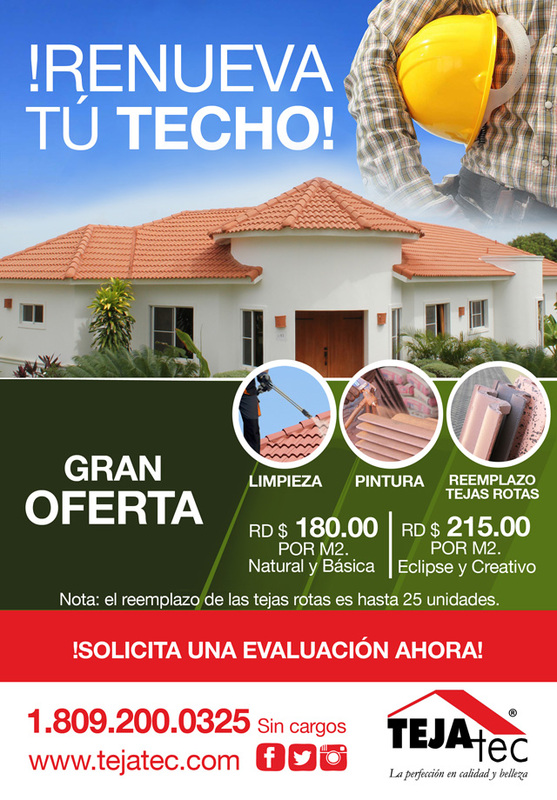 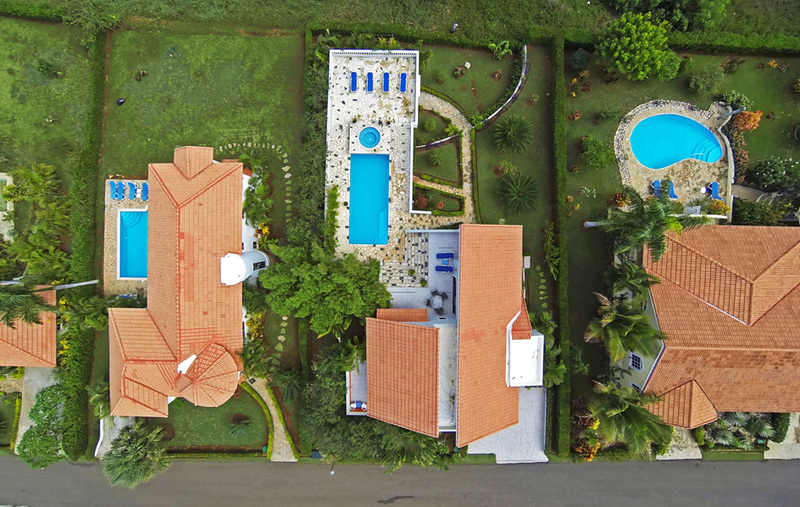 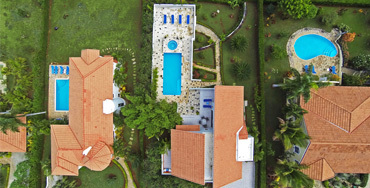 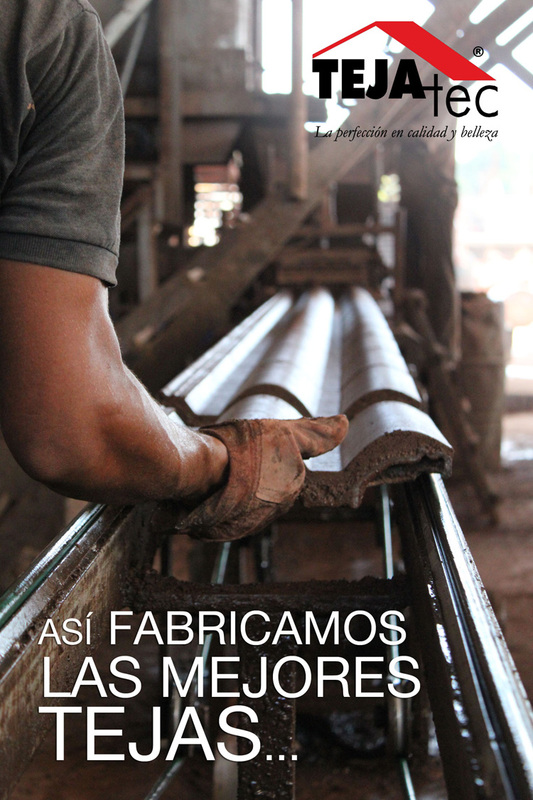 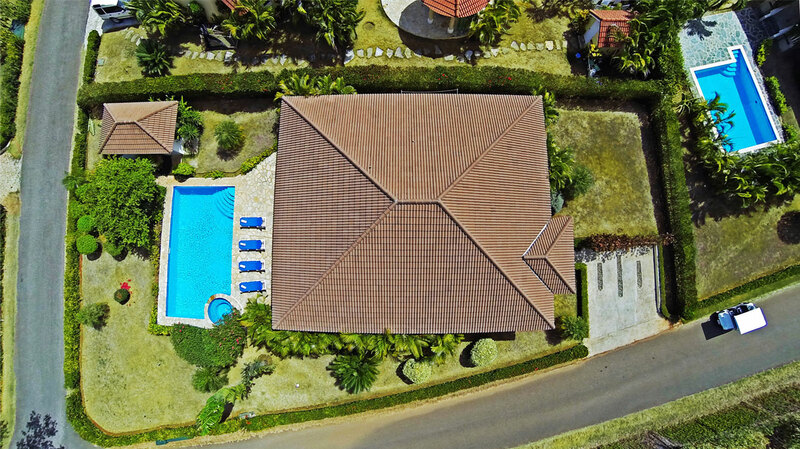 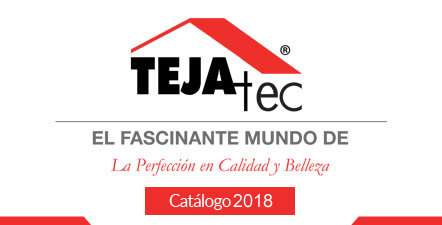 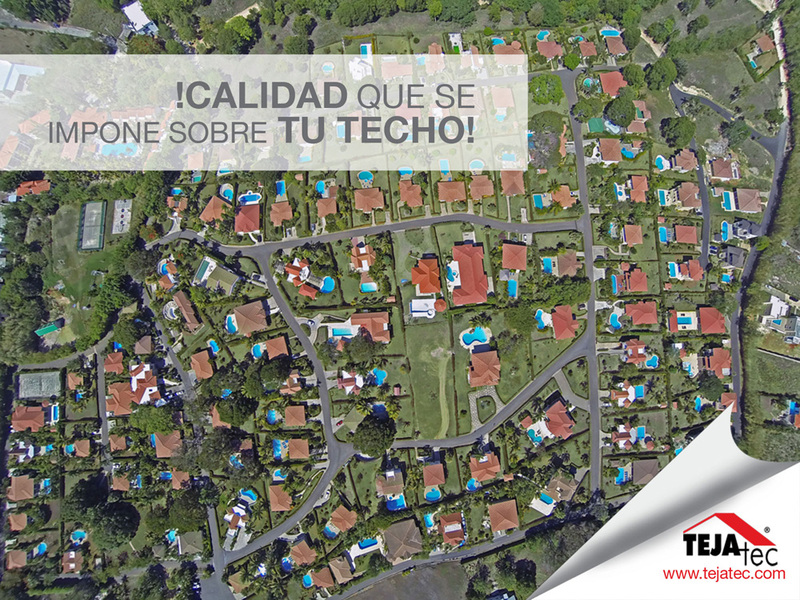 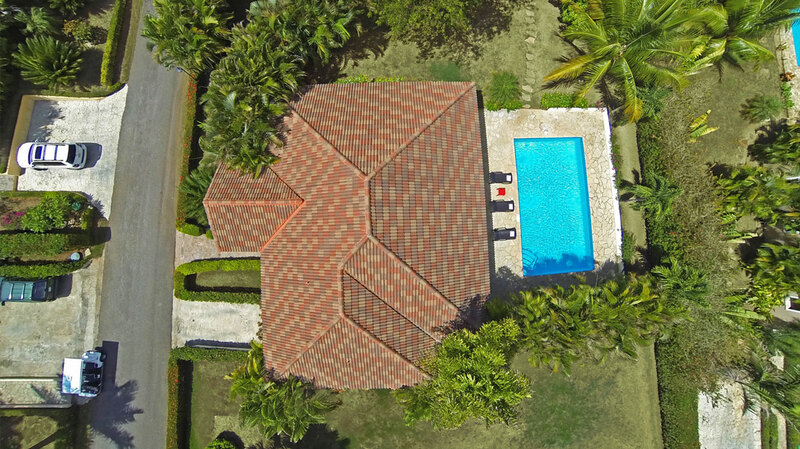 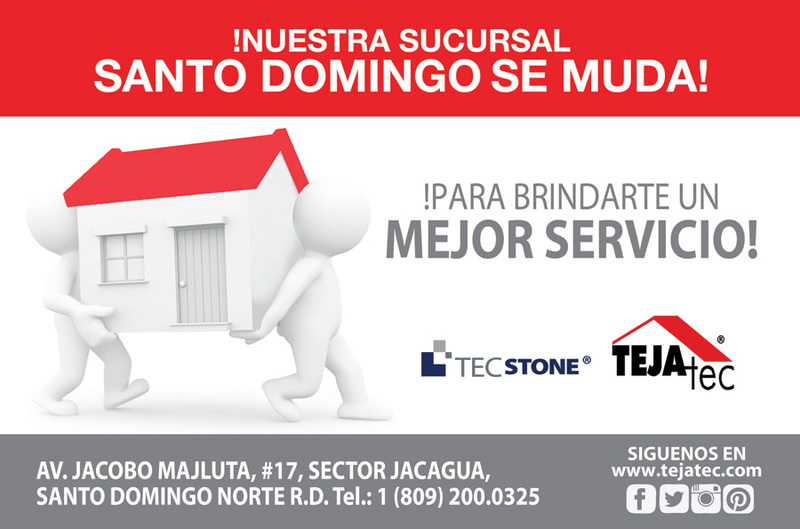 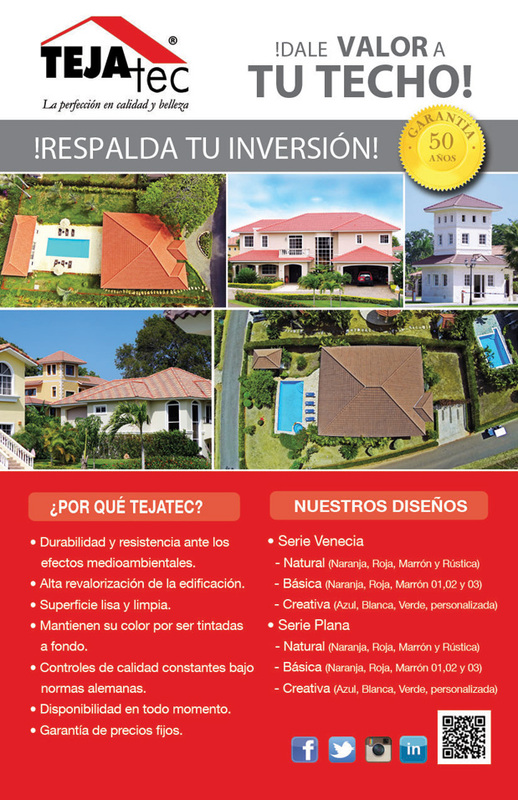 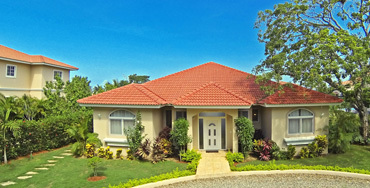 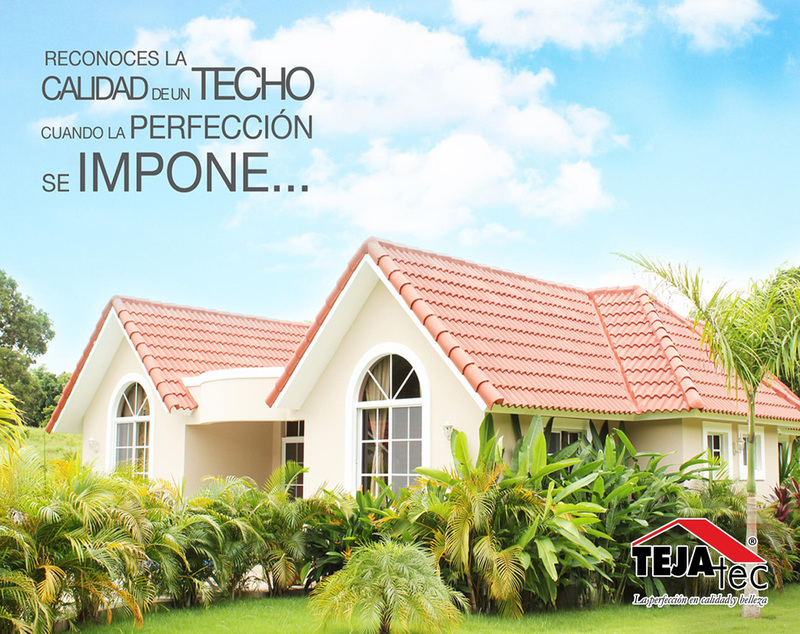 TEJAtec is a brand that since 1996 has provided the construction market and architectural design in the Dominican Republic, new alternatives when choosing a roof whose main characteristics are founded on quality, durability and creativity. 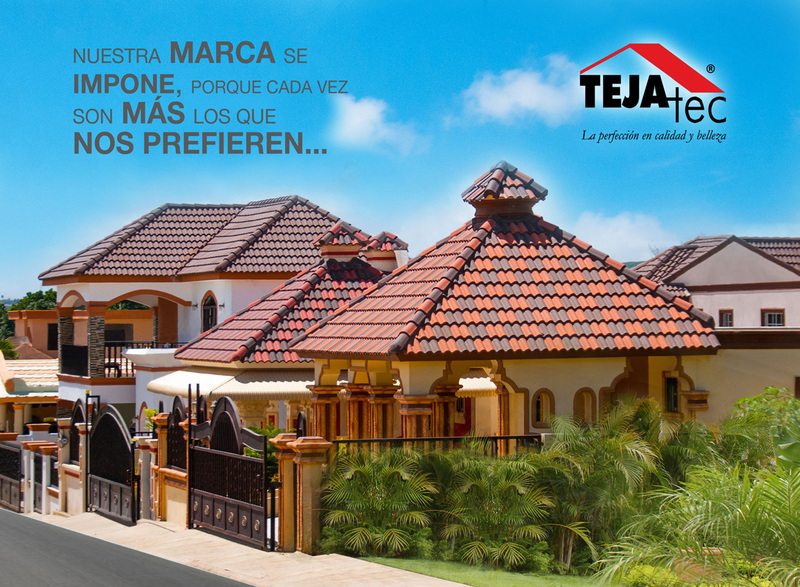 Tejatec tiles are manufactured in modern production facilities under quality control standards constants and German standards with a mixture of materials made of classified sand, portland cement, water and coloring pigments, with a termination of strokes defined geometric effect decorative, smooth and clean surface by refining processes and the ability to custom creations with over 25 colors to choose from. 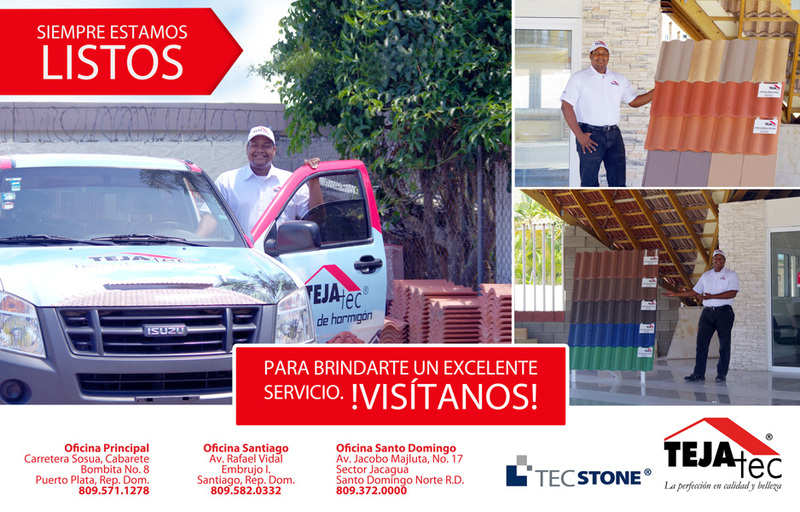 Visit us at our offices and meet our fantastic team.